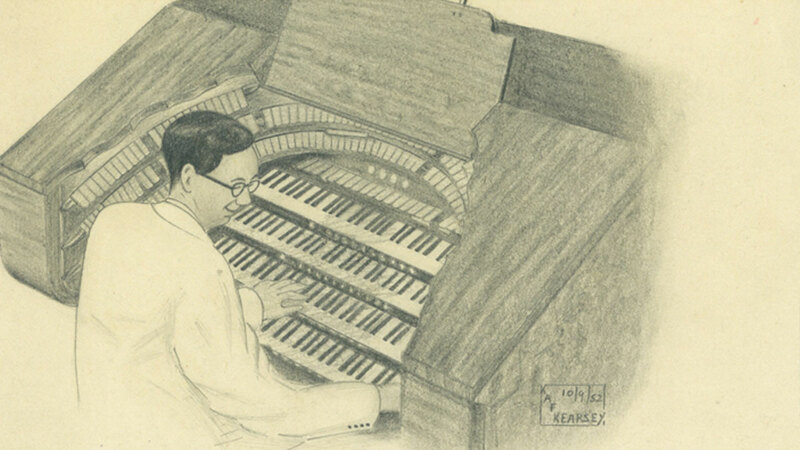 In 1936 a tailor-made Hill, Norman & Beard dual-purpose concert organ was installed in Brighton Dome Concert Hall to replace the original 1850 model. The organ, still in use today, is a large four manual classical organ, with conventional Great, Swell, Solo and Accompaniment keyboards. With 42 rows of pipes in four chambers, the unit construction with electro-pneumatic action produced no less than 250 stop tabs. In addition to an already impressive range, the organ has many special effect stops, such as orchestral bells, marimba, harp, bird whistles and sleigh bells. 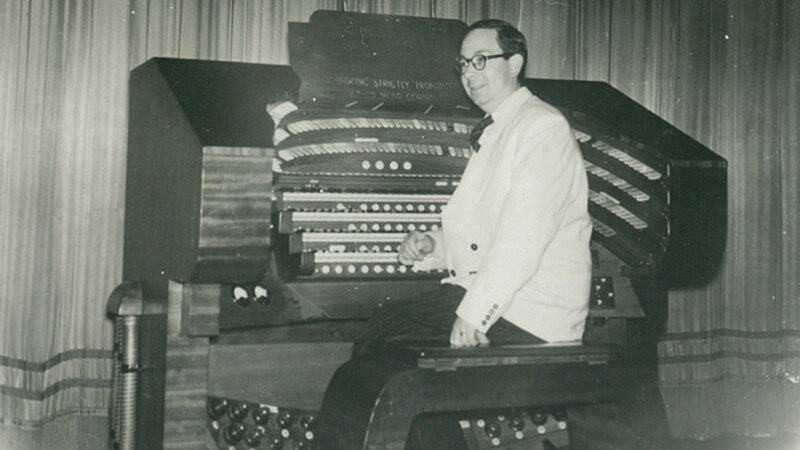 One man’s name is indelibly linked with the instrument: local ‘Wonder Boy Organist’ Douglas Reeve. During World War II Douglas made Brighton Dome’s organ famous with his BBC Light Programme broadcasts. His twice-weekly series of organ concerts attracted capacity audiences who instantly recognised his signature tune, Pack Up Your Troubles. He even carried on playing during air raids, and once famously continued his concert after a bomb landed on the nearby Royal Pavilion lawns. After the war, Douglas’ weekly Tuesday at the Dome variety shows ran for over 1,600 performances, earning him an entry in the Guinness Book of World Records for the longest seaside variety show in the world.